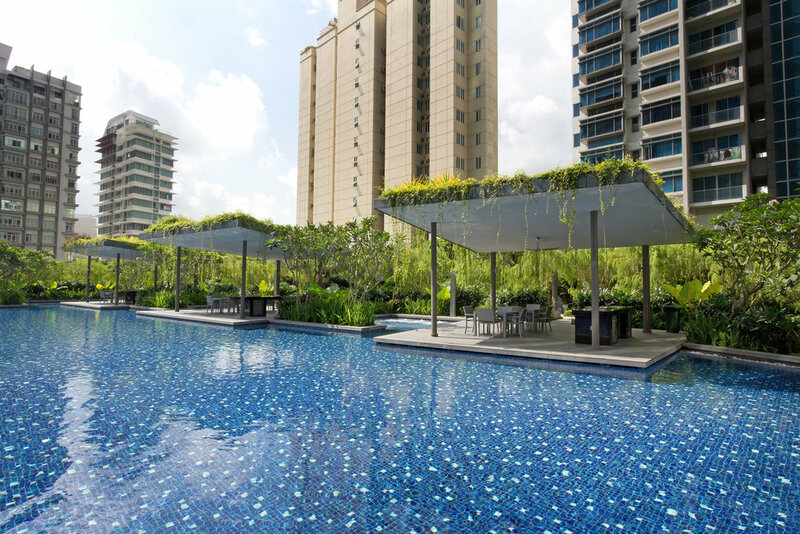 A 36 storey condominium, Soleil@Sinaran is an urban oasis located within one of Singapore’s busiest neighbourhoods. Using dense, tropical foliage and extensive pools, it transports its residents from the hustle and bustle of the city into a peaceful and serene environment. 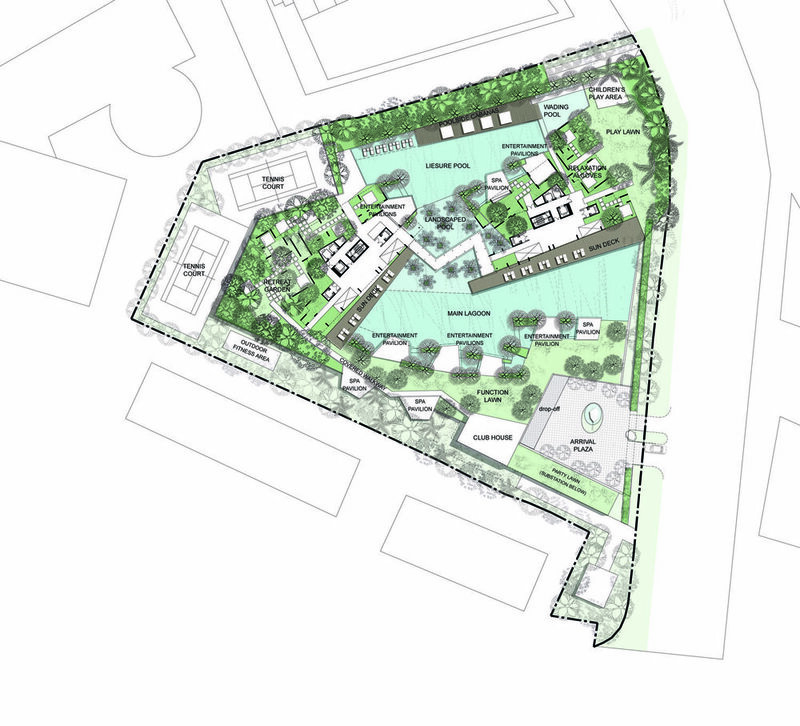 Walking through a green tree-lined walkway, the residents are greeted by a series of welcoming pavilions protruding from the dense greenery which surrounds the site. As these pavilions push into the main bodies of water, they create smaller, shallow private pools which allow kids to play in safety. These pavilions also enhance the views of residents looking down onto the landscape. Covered in patterns of seasonal plants, the pavilion roofs add an evolving element of greenery in contrast to the shimmering blue of the pools.